During the course of her 21-year career, Australian actress Cate Blanchett has demonstrated a versatility that enables her to make easy transitions between arthouse dramas and blockbusters. Over 40 of her features are available to rent from Cinema Paradiso. So, why not get to know her better? Catherine Elise Blanchett was born in Melbourne on 14 May 1969 to an American father and an Australian mother, who had met when the Texan naval officer's ship was forced to make a prolonged stopover with a mechanical problem. When Robert died of a heart attack when Cate was 10, June was left to raise her and siblings Bob and Genevieve with her own mother in the suburb of Ivanhoe, where the teenage Cate went through goth and punk phases before discovering a talent for acting at Methodist Ladies' College. However, it was only while she was travelling in Egypt after dropping out of an economics and fine arts course at the University of Melbourne that Blanchett made her screen debut, as an extra in Khairy Beshara's boxing movie, Kaboria (1990). Returning to Australia, Blanchett enrolled at the National Institute of Dramatic Art in Sydney and quickly made a name for herself on stage, with an acclaimed 1992 performance opposite Geoffrey Rush in David Mamet's Oleanna, which the American writer-director filmed two years later with William H. Macy and Debra Eisenstadt. Having moved into television with a recurring role in Heartland (1994) and a supporting role alongside Hugo Weaving in the mini-series, Bordertown (1995), Blanchett followed a starring role in Kathryn Millard's 1996 featurette, Parklands, with a strong debut display as a nurse captured by the Japanese on the island of Sumatra in Bruce Beresford's ensemble wartime drama, Paradise Road (1997). 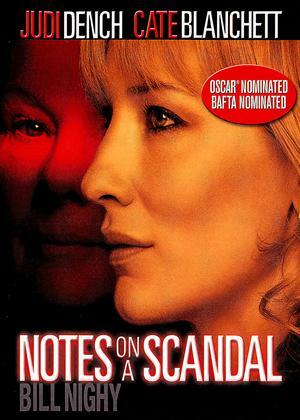 Having held her own against Glenn Close and Frances McDormand, Blanchett took her first starring role in Cherie Nowlan's romcom, Thank God He Met Lizzie, before being teamed with Ralph Fiennes in Gillian Armstrong's underrated adaptation of Peter Carey's Booker Prize-winning novel, Oscar and Lucinda (both 1997). 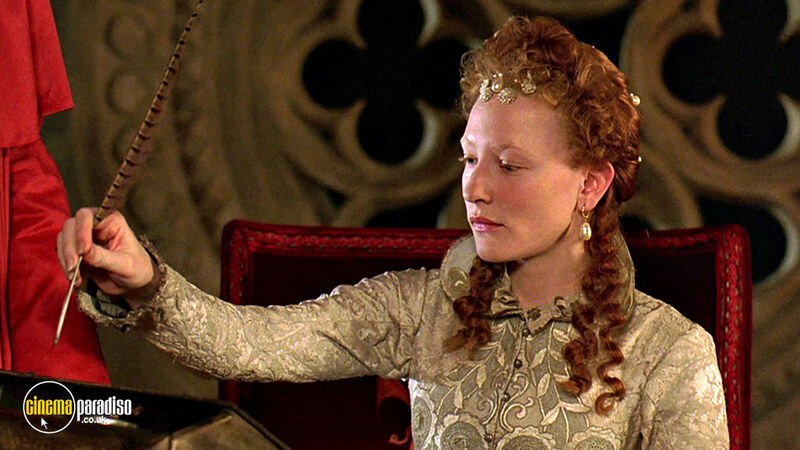 Director Shekhar Kapur was so impressed with her performances that he cast Blanchett in the title role of his opulent historical biography, Elizabeth (1998), which not only brought her a Golden Globe and a BAFTA but also earned her an Academy Award nomination for Best Actress. When she received a second nomination in reprising the role of the last Tudor monarch in the same director's Elizabeth: The Golden Age (2007), Blanchett became the first actress to be cited for playing the same character in two different films. By contrast, five actors have doubled up, since Bing Crosby essayed Fr Chuck O'Malley in Leo McCarey's Going My Way (1944) and The Bells of St Mary's (1945). Twenty-five years separated Paul Newman's performances as 'Fast' Eddie Felson in Robert Rossen's The Hustler (1961) and Martin Scorsese's The Color of Money (1986), while Sylvester Stallone's nods for playing Rocky Balboa came 39 years apart in John G. Avildsen's Rocky (1976) and Ryan Coogler's Creed (2015). Peter O'Toole only had to wait four years for his nominations as King Henry II in Peter Granville's Becket (1964) and Anthony Harvey's The Lion in Winter (1968), while Al Pacino's nominations for playing Michael Corleone in Francs Ford Coppola's The Godfather (1972) and The Godfather Part II (1974) were only two years apart. 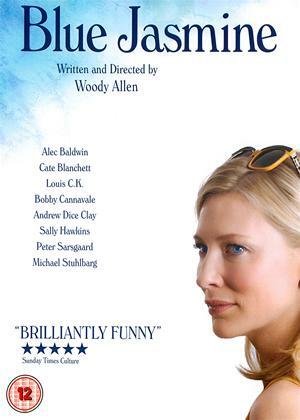 Despite basing herself in Britain, Blanchett was soon in demand in America and, having played the wronged wife in Oliver Parker's take on Oscar Wilde's An Ideal Husband, she made her Hollywood bow alongside Billy Bob Thornton and Angelina Jolie in Mike Newell's air traffic control comedy, Pushing Tin (both 1999). The same year saw Blanchett snag her second BAFTA nomination as American socialite Meredith Logue in Anthony Minghella's acclaimed adaptation of Patricia Highsmith's The Talented Mr Ripley, which co-starred Matt Damon, Gwyneth Paltrow and Jude Law. She had less luck with Sam Raimi's The Gift, Sally Potter's The Man Who Cried (both 2001) and Barry Levinson's Bandits (2001), in which she respectively played a psychic who becomes involved with a murder case, a Russian dancer in 1920s Paris and a housewife who becomes caught up with rogues Bruce Willis and Billy Bob Thornton. Great things were expected of Lasse Hallström's interpretation of Annie Proulx's The Shipping News and Gillian Armstrong's adaptation of Sebastian Faulks's Charlotte Gray (both 2001). But, while Blanchett made the most of her handful of scenes as Kevin Spacey's feckless wife in the former, she faced an uphill challenge in holding together an unconvincing reconstruction of Occupied France, as a Scottish agent of the Special Operations Executive trying to combine a dangerous mission with finding her missing RAF lover. Despite being planned as the first part of a trilogy by Krzysztof Kieslowski, Heaven also failed to live up to expectations, as the Polish auteur died before filming could begin and German Tom Tykwer took over a project that saw Blanchett play an English teacher who embarks upon a vigilante campaign against a Turin drug dealer. 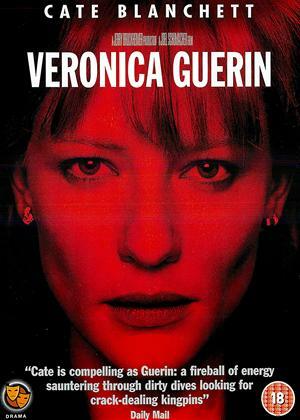 She also takes the law into her own hands in Ron Howard's The Missing, after her daughter is abducted in 1880s New Mexico, and she battled more druglords as a crusading Irish journalist in Joel Schumacher's Veronica Guerin, for which she was nominated for a Golden Globe. Completing Blanchett's 2003 slate was Jim Jarmusch's Coffee and Cigarettes, an anthology of 11 vignettes that saw her play herself and a fictional cousin named Shelly. She further demonstrated her underused gift for comedy, as pregnant reporter Jane Winslet-Richardson in Wes Anderson's The Life Aquatic With Steve Zissou (2004). 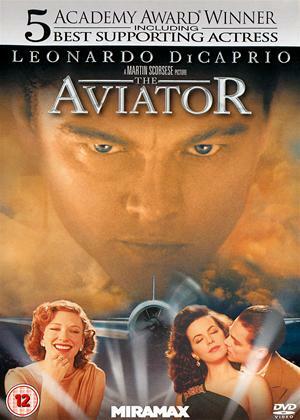 But her impeccable timing was even more in evidence, as she captured the enigmatic Katharine Hepburn's zest for life opposite Leonardo DiCaprio in Martin Scorsese's Howard Hughes biopic, The Aviator (2004). In landing the Academy Award for Best Supporting Actress, Blanchett became the first performer to win a statuette for playing another Oscar winning-actor. Nine years later, when she won the Best Actress award for Woody Allen's Blue Jasmine (2013), she joined an exclusive band of women who had won Oscars in both acting categories. Although she was becoming a critics' darling for her work in mainstream drama, Blanchett was about to find a niche in the realm of CGI blockbusters. Fellow Antipodean Peter Jackson cast her as Galadriel in his adaptations of the Middle Earth novels of Oxford don JRR Tolkien and the Noldorin elf remains Blanchett's most-played character. In addition to narrating the prologue in The Lord of the Rings: The Fellowship of the Ring (2001), Galadriel also reveals her dark side in rejecting Frodo's offer of the One Ring and entrusts him with Eärendil's Light in reminding him that 'even the smallest person can change the course of the future'. However, the Elven-Queen of Lothlórien is limited to a single-scene cameo in The Two Towers (2002), in which she telepathically warns Elrond about the Ring's perfidious power, while she appears in a vision to urge Frodo to continue his quest in The Return of the King (2003). Recognising her contribution to the first trilogy, Jackson's tinkered with Tolkien's text to include Galadriel in the triptych spun off from The Hobbit. In An Unexpected Journey (2012), she sits alongside Gandalf, Saruman and Elrond at a meeting of the White Council, while she continues to warn against the threat posed by the Necromancer in a telepathic communication with Gandalf in The Desolation of Smaug (2013). However, Galadriel makes a much greater contribution to The Battle of Five Armies (2014), as she not only revives Gandalf with a kiss after he is taken to the stronghold at Dol Guldur, but she also locks horns with Sauron in a titanic showdown, in which she turns Eärendil's Light on him and brandishes him 'Nameless, Faceless and Formless'. Having impressed Steven Spielberg with her demonic displays, Blanchett was afforded the opportunity to affirm his contention that she is the 'master of disguise' by playing KGB colonel Dr Irina Spalko in Indiana Jones and the Kingdom of the Crystal Skull (2008). Spielberg considers the Russian his favourite villain in the entire franchise and Blanchett tapped into her wicked side again to play Hela in New Zealander Taika Waititi's Thor: Ragnarok (2017), which saw screenwriter Eric Pearson break with both Norse mythology and the rubric of the Marvel Universe by making the character Thor's sister rather than the daughter of Loki. 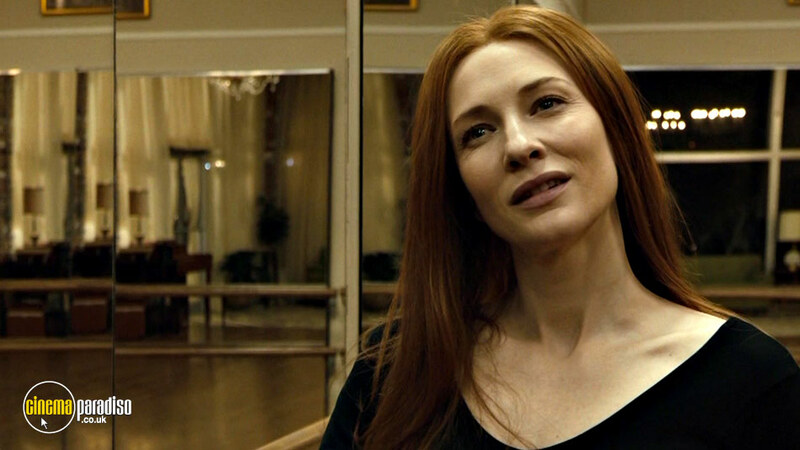 Blanchett studied the Brazilian martial art of capoeira to play Hela, but fewer action demands were made of her as Lady Marian opposite compatriot Russell Crowe in Ridley Scott's Robin Hood (2010). However, she was encouraged to indulge her talent for malevolence as Marissa Wagner, the CIA bigwig intent on eliminating Saoirse Ronan and her onetime agent father Eric Bana in Joe Wright's Hanna (2011), and as Lily James's tyrannical stepmother, Lady Tremaine, in Kenneth Branagh's Cinderella (2015). Having met while she was in a production of Anton Chekhov's The Seagull, Blanchett had married Australian playwright Andrew Upton in 1997 and he had directed her in the short, Bangers (1999), which later turned up as one of seven tales in the 2005 portmanteau, Stories of Lost Souls. In 2008, the pair had been invited to become co-CEOs and artistic directors of the Sydney Theatre Company and Blanchett earned some of the best notices of her career for her performance as Blanche DuBois in Liv Ullmann's version of Tennessee Williams's A Streetcar Named Desire, which had been memorably filmed by Elia Kazan in 1951, with Marlon Brando being the only cast member to go home from the Academy Awards empty-handed after Vivien Leigh, Karl Malden and Kim Hunter had won their respective categories. Having set up home in East Sussex, Blanchett finally made her Broadway bow in 2017 in The Present, which saw Upton update Chekhov's Platonov to 1990s Russia. The production earned Blanchett her first Tony nomination and she is currently wowing West End audiences opposite Katie Mitchell in her National Theatre debut, When We Have Sufficiently Tortured Each Other, which has been adapted by Martin Crimp from Samuel Richardson's landmark 1740 epistolary novel, Pamela. 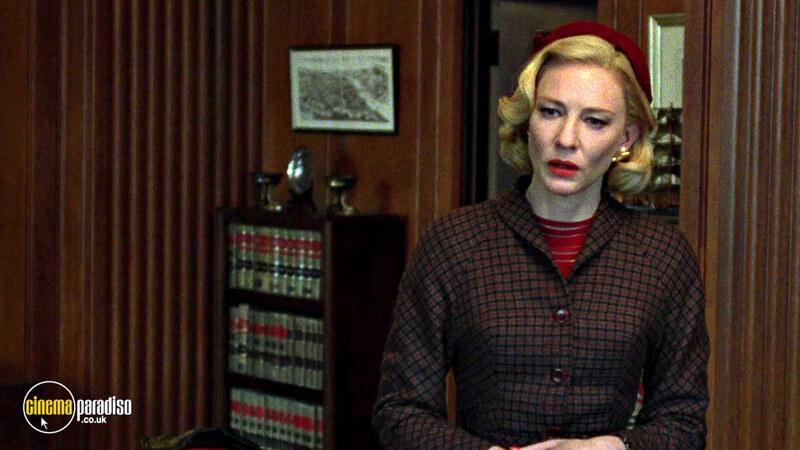 Alongside her 20+ stage credits, Blanchett has also done her share of vocal work. She was hilariously dastardly as Penelope in the 'Mr and Mrs Stewie' episode of Family Guy and returned to the show later in 2012 to play Queen Elizabeth II in 'Viewer Mail 2'. On the big screen, she joined Matt Damon and Liam Neeson to play Granmamare, the giant Mother of the Sea, in the English-language cast of Hayao Miyazaki's classic anime, Ponyo (2008), and she has since voiced Valka in Dean DeBois's How to Train Your Dragon 2 (2014) and Kaa the python in Mowgli, Andy Serkis's hybrid adaptation of Rudyard Kipling's The Jungle Book, which is about to receive its cinema release. On a more serious note, Blanchett also narrated the 35mm feature version of Terrence Malick's documentary chronicle of the universe, Voyage of Time (2016), and the Haiti story in Richard Robbins's Girl Rising (2013). She also provided the voice of Dore Strauch in Daniel Geller and Dayna Goldfine's The Galapagos Affair: Satan Came to Eden (2013), a fascinating account of the fractious relationships that developed when Strauch and lover Friedrich Ritter found themselves having to share the deserted island of Floreana with new arrivals Heinz and Margret Wittmer and enigmatic Austrian baroness, Eloise von Wagner. 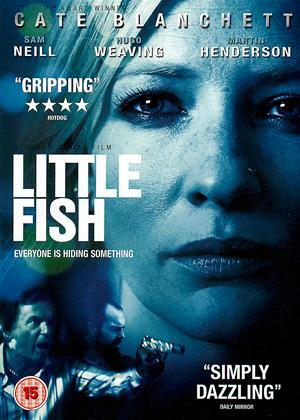 Having formed the Dirty Films production company with Upton, Blanchett won the Australian Film Institute's Best Actress prize for her performance as recovering heroin addict Tracy Heart in Rowan Woods's Little Fish (2005), which is set in the Little Saigon district of Sydney. She returned to Hollywood to forge alliances with Brad Pitt in the Moroccan episode of Alejandro González Iñárritu's Babel (2006) and David Fincher's The Curious Case of Benjamin Button (2008) and with George Clooney in Steven Soderbergh's The Good German (2006) and Clooney's own postwar saga, The Monuments Men (2014). Having earned a third Oscar nomination opposite Judi Dench in Richard Eyre's adaptation of Zoe Heller's novel, Notes on a Scandal (2006), Blanchett took an uncredited cameo as Simon Pegg's forensic scientist ex-girlfriend in Edgar Wright's comedy, Hot Fuzz (2007), and donated her fee to charity. 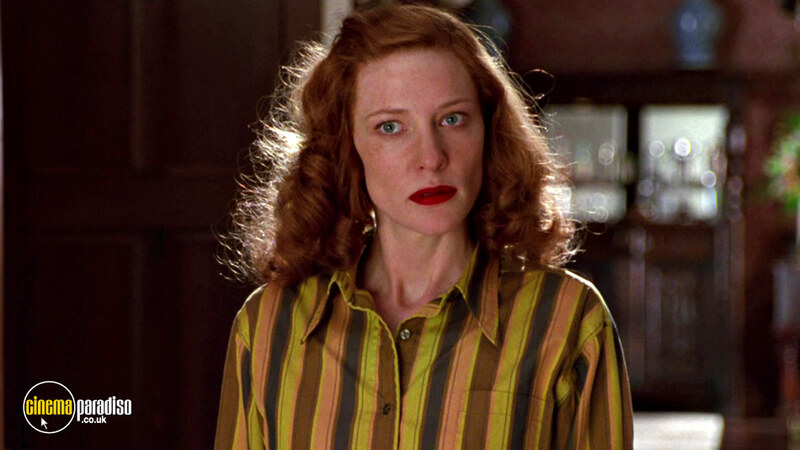 She was rewarded by receiving further Academy recognition for Elizabeth: The Golden Age and Todd Haynes's I'm Not There (both 2007), which not only brought Blanchett the Volpi Cup for Best Actress at the Venice Film Festival but also meant that she became the 11th performer to be Oscar-nominated for two pictures in the same year. But Irish actor Barry Fitzgerald went one better when he was cited for Best Actor and Best Supporting Actor for the same performance, as Fr Fitzgibbon in Going My Way. Despite raising three sons and an adopted daughter, Blanchett has remained busy since returning to Oz to partner Richard Roxburgh in 'Reunion', director Simon Stone's contribution to the Tim Winton anthology, The Turning (2013). 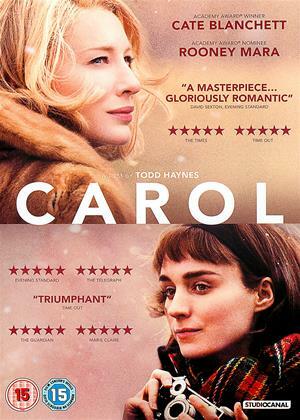 She also reteamed with Terrence Malick for his experimental drama, Knight of Cups (2015), in which she played the ex-wife of screenwriter Christian Bale, and returned to the pages of Patricia Highsmith to romance Rooney Mara in 1950s America in Carol, Todd Haynes's stylish take on the 1952 novel, The Price of Salt, which Highsmith had first published under the pen name, Claire Morgan. Blanchett scooped further Oscar, Golden Globe and BAFTA nominations for this latter performance and lined up alongside Mara again in another Malick concoction, Song to Song (2017), in which she has a fling with songwriter Ryan Gosling. She played TV producer Mary Mapes, alongside Robert Redford as news anchor Dan Rather, in James Vanderbilt's Truth and took 13 different roles in Julian Rosefeldt's Manifesto (both 2015), which was originally presented as a multi-screen gallery installation. Having joined Sandra Bullock, Anne Hathaway and Helena Bonham Carter in the all-star cast of Gary Ross's Ocean's 8, Blanchett paired up with Jack Black for Eli Roth's fantastical take on John Bellairs's 1973 children's mystery, The House With a Clock in Its Walls (both 2018). This year has also seen her prepare her roles in Richard Linklater's adaptation of Maria Semple's bestseller, Where'd You Go, Bernadette, and Lucy and Desi Arnaz, Jr.'s biopic of their mother, Lucille Ball. Moreover, Blanchett became only the 11th woman to preside over the Cannes festival jury, as she followed in the footsteps of all-time greats including Jane Campion (2014), who remains the only female winner of the Palme d'or, for The Piano (1993). 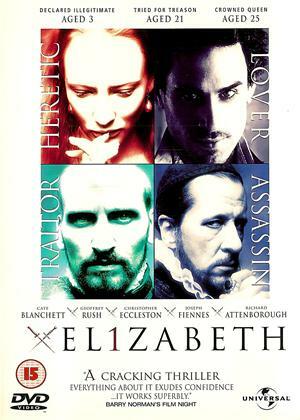 From Sarah Bernhardt to Miranda Richardson, the role of Elizabeth Tudor has attracted some fine actresses and Cate Blanchett's interpretation in Shekhar Kapur's two-part biography ranks alongside those of Flora Robson (Fire Over England, 1937), Bette Davis (The Private Lives of Elizabeth and Essex, 1939 & The Virgin Queen, 1955) and Glenda Jackson (Elizabeth R & Mary, Queen of Scots, both 1971). Cast instead of Emily Watson, Blanchett enabled Kapur and screenwriter Michael Hirst get 'behind the icon' to explore 'the humanity of royalty'. Prioritising 'the emotions and essence of history' over hard facts, the film started shooting two days after the death of Princess Diana and conveys the demands of duty and dynasty in a rattling rite of passage that combines romance, conspiracy, religion and rebellion. The supporting cast is as impeccable as the production values, but it's Blanchett who dominates with a powerhouse performance. Not everyone was convinced when action producer Jerry Bruckheimer and popcorn director Joel Schumacher combined to produce a biography about the 37 year-old Irish journalist who was murdered in June 1996 while investigating the Dublin drug trade. John Mackenzie had revisited the story with Joan Allen in When the Sky Falls (2000). But screenwriters Carol Doyle and Mary Agnes Donoghue follow the Sunday Independent inquiry with a degree of fidelity, as underworld lynchpin John Traynor (Ciarán Hands) tries to steer Veronica Guerin (Blanchett) away from trafficker John Gilligan (Gerard McSorley), while her mother Bernadette (Brenda Fricker) pleads with her to drop the story after Guerin is shot in the leg and savagely beaten. Overlapping with John Boorman's Martin Cahill biography, The General (1998) - which had its own fictionalisation in the form of Thaddeus O'Sullivan's Ordinary Decent Criminal (2000) - this is a flawed, but fascinating study of integrity, courage and egotism. Steven Spielberg. Brian De Palma, Michael Mann and Warren Beatty had developed biopics of Howard Hughes before Martin Scorsese joined forces with Leonardo DiCaprio. Beatty would eventually tackle the eccentric tycoon's later life in Rules Don't Apply (2016), but this epic account concentrates on Hughes's early exploits in the movie and aviation industries. A delayed start enabled Blanchett to accept the role of Hollywood legend Katharine Hepburn after Nicole Kidman had been considered as her replacement. By a sad twist of fate, she began work on the day Hepburn died, 29 June 2003. Sporting individually applied freckles, Blanchett channels what she had gleaned from watching Hepburn's first 15 films and a 1973 TV interview to convey her bluestocking ebullience and distinctive approach to romance. She even learned to play golf. Yet, while Blanchett landed the Best Supporting Oscar, all of Hepburn's record four wins were for Best Actress. Having debuted with a searing study of a dysfunctional family of Sydneysiders in The Boys (1998), director Rowan Woods revisits similar territory in this intense saga that drew 13 nominations at the Australian Film Institute Awards. Blanchett compels in a story that explores the difficulties of starting afresh in a society that rarely forgives and never forgets. Desperate to secure a loan to buy a share in the video store she manages, Blanchett's reformed heroin addict is lured into a shady deal involving her disabled brother, Martin Henderson, and Dustin Nguyen, the ex-boyfriend who had crashed the car in which Henderson lost a leg. With the camera sticking close to the characters in their rundown milieux, Woods and screenwriter Jacquelin Perske leak details that bind the disparate plot threads together, as Blanchett strives to remain loyal to mother Noni Hazlehurst, estranged stepfather Hugo Weaving and her own ambitions. The spirit of Claude Chabrol pervades Patrick Marber's adaptation of Zoë Heller's 2003 Booker-shortlisted novel about dark deeds at a London comprehensive. Blanchett admitted to finding it difficult to connect with an art teacher who has returned to work after raising a son with Down Syndrome. 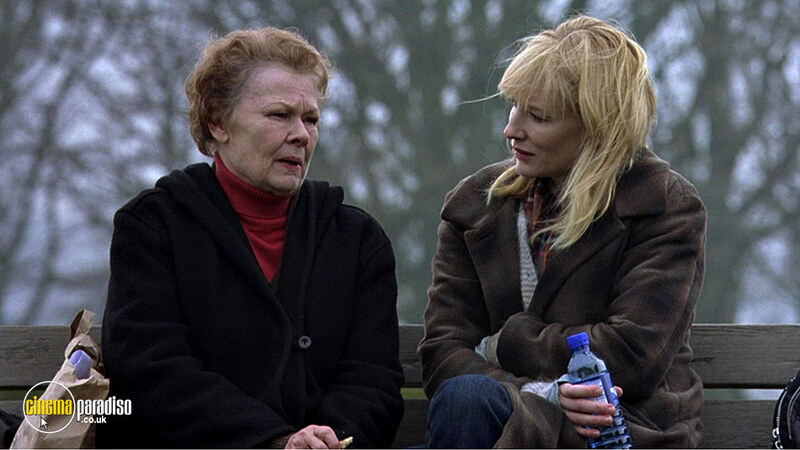 However, she attracts the attention of obsessive history teacher Judi Dench and the nature of their relationship changes after Dench catches Blanchett in a compromising position with 15 year-old Irish student Andrew Simpson. Marber and composer Philip Glass were Oscar-nominated, while Eyre deserves credit for creating a credible milieu and for preventing the action from becoming a melodramatic mash-up of Hitchcock and Nabokov. But the fascination lies in the duel between Dench and Blanchett (who were also both nominated) and the way the latter ventured into Isabelle Huppert territory in rising to the challenge of playing such a morally compromised character. 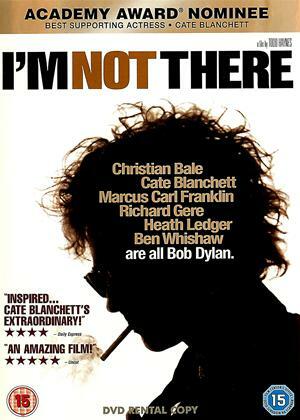 You don't have to be a fan of Bob Dylan to appreciate Todd Haynes's beguiling homage, but it certainly helps. Six actors play characters reflecting various facets of the singer's personality: the poet (Ben Whishaw), the prophet (Christian Bale), the fake (Marcus Carl Franklin), the outlaw (Richard Gere) and the 'star of electricity' (Heath Ledger). Blanchett essays 'the rock and roll martyr' and her scenes turn around the folkie outcry that greeted Dylan going electric at the 1965 Newport Folk Festival and being called Judas by a heckler at a 1966 gig in Manchester. 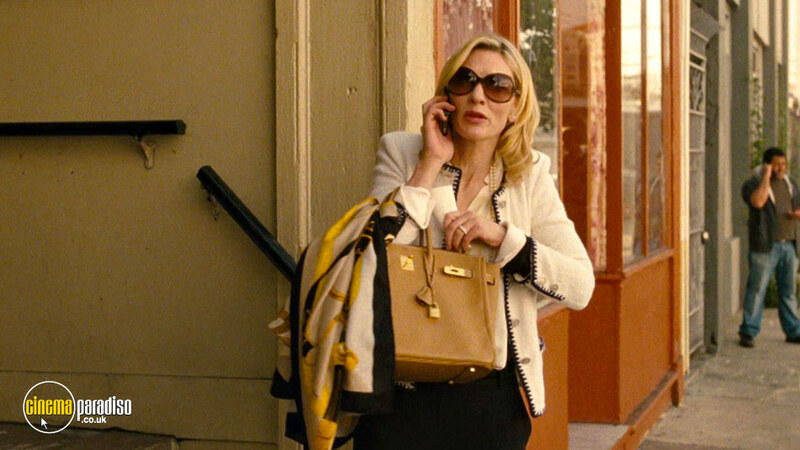 Some critics cavilled as Blanchett's quirky casting as Jude Quinn. 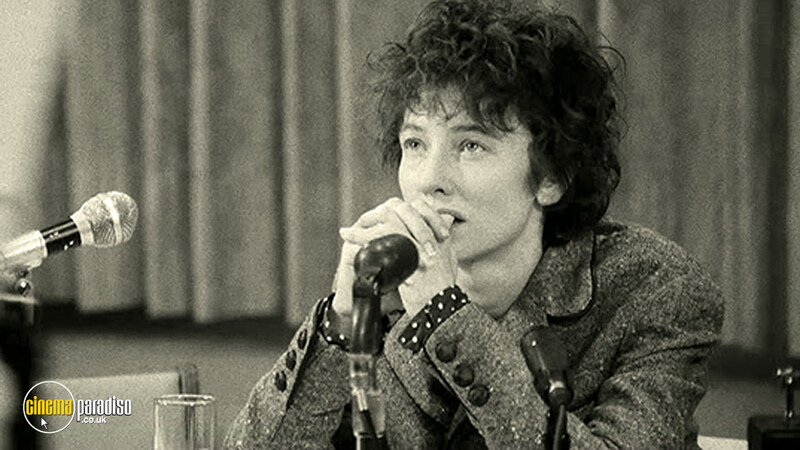 But her bold performance gives this fragmentary experiment a dramatic core, as Quinn meets The Beatles and endures a press conference grilling, while Haynes pastiches Richard Lester's A Hard Day's Night (1964), John Schlesinger's Darling (1965) and DA Pennebaker's Dylan documentary, Don't Look Back (1967). Inspired by a 1921 short story by F. Scott Fitzgerald, David Fincher's poignant fantasy muses on Mark Twain's lament that our lives are bookended by our best and worst times. 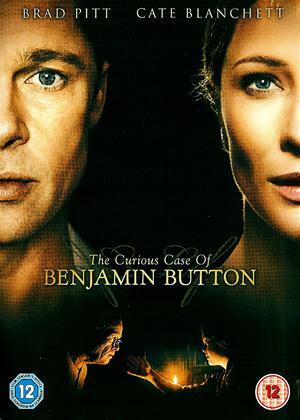 The action centres on Benjamin Button, who is born as an old man on Armistice Day 1918 and ages in reverse to die as an 84 year-old infant. Seven actors play Button at various stages of his life. But the primary focus falls on Brad Pitt, while Blanchett shares the role of soulmate Daisy Fuller with Elle Fanning and Madisen Beaty. Switching between the imperious impetuousness that characterises Daisy's dancing years to the seasoned sensuality that overtakes her after she is injured in a Parisian car crash, Blanchett grows more sympathetic and accepting as she and Pitt are buffeted by events over which they rarely have any control. The performances are lovely, but much depends on the Oscar-winning make-up and visual effects. Echoes of A Streetcar Named Desire and the Madoff affair reverberate around Woody Allen's darkly comic chamber drama, as Blanchett's impecunious Manhattan socialite suffers a breakdown and relocates to San Francisco to live with sister Sally Hawkins, who blames the collapse of her marriage on the scandal that drove Blanchett's disgraced banker husband to suicide. Seeking sanctuary in a fantasy, Blanchett excels as Jasmine clings on to her airs and graces and not only interferes in Ginger's affairs but also reinvents herself as a sharp-dressing interior designer to seduce a widowed diplomat. Some have suggested that Allen used Jasmine's delusions and manipulations to get back at ex-partner Mia Farrow and Blanchett has come in for much criticism for her decision to work with him. However, she has always insisted she had no prior knowledge of Dylan Farrow's allegations and has continued to place her faith in the justice system. Screenwriter Phyllis Nagy spent almost two decades trying to find someone to film her adaptation of Patricia Highsmith's semi-autobiographical 1952 novel, The Price of Salt. Using the title her friend had chosen for the book's 1990 reissue, Nagy deftly shifts the focus of the narrative on to Therese, the aspiring photographer who falls for the divorcing mother of a young daughter after they meet in the toy department of a New York store at Christmastime. Refusing to dwell overlong on the social prejudices of the Eisenhower era, director Todd Haynes slips in references to David Lean's Brief Encounter (1945) and Alfred Hitchcock's Rear Window (1954) to place the emphasis more on romantic jeopardy than homosexuality. Despite her brilliant performance, Blanchett was somewhat upstaged when Rooney Mara shared the Best Actress prize at Cannes with Emmanuelle Bercot for her work as an abused woman in Maïwenn's potent drama, My King. 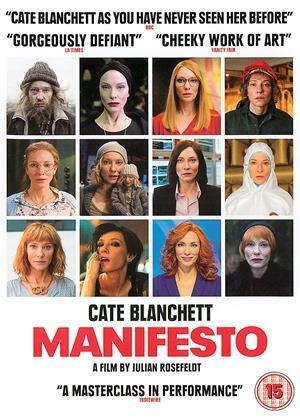 Film and video artist Julian Rosefeldt always had Blanchett in mind for this daring and often dazzling celebration of the ideas that shaped the social, political and cultural landscape of the last century. Dashing around Berlin during the 12-day shoot, Blanchett variously appears as a homeless man on a rooftop, a high-powered broker, a stressed mother, a chic CEO, a heavily tattooed punk, a scientist, a funeral mourner, a Russian choreographer and a pre-school teacher. The most entertaining sequences cast her as a puppeteer manipulating a miniature version of herself, a prim matriarch musing on Pop Art to her own husband and sons Dashiell, Roman and Ignatius, and as a newsreader discussing Conceptual Art with a lookalike reporter. Chameleonically changing her look and voice for each segment, Blanchett succeeds in making complex ideas accessible and exciting without this demanding picture feeling too much like an intellectual stunt.